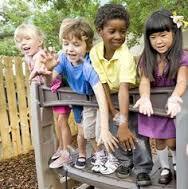 JellyBeans Child Development Centers are committed to providing child-centered quality learning experiences. We strive to provide a clean, safe and positive early education environment for young children and their families. Our objective is to nurture and educate the whole child, while fostering intellectual, creative, and social and physical development. We encourage and help our children to see the world as an invitation to learn, grow and live fully, while building a strong foundation for a lifetime of learning! The JellyBeans program curriculum encourages children to embrace choices and initiate activities that foster independence and self-confidence. JellyBeans successfully operates three early childhood development centers located in Charles County, Maryland -- Hughesville, La Plata and Waldorf. All centers are open throughout the year and operate during convenient hours, Monday through Friday. Our programs welcome children six (6) weeks to 12 years of age. J​ellyBeans offers comprehensive Infant and Toddler programs, as well as Early Pre-K and Pre-K educational curriculum's. We offer Before and After Care School Programs with planned activities for age appropriate groupings of ages 5 to 12 years old. ​All three JellyBeans child care centers have achieved Maryland EXCELS Check Level 3 from Maryland State Department of Education (MSDE). Maryland EXCELS is the state's Quality Rating and Improvement System that awards ratings to public and private early learning programs that meet increasingly higher standards in key areas that identify nationally as contributing to high quality early learning programs.